There are easy ways to maintain your yoga practice when you’re traveling and why you should. A week in Florida with family, a break from social media, watching the sunrise, morning coffee on the balcony overlooking the water and the white sands of Pensacola Beach as my yoga studio. It was pure bliss and one of the most relaxing vacations ever. Family time, new places, local cuisine and road trips are what traveling is all about, but that doesn’t mean you have to take a break from your yoga mat and miss out on all the reasons you love your practice. 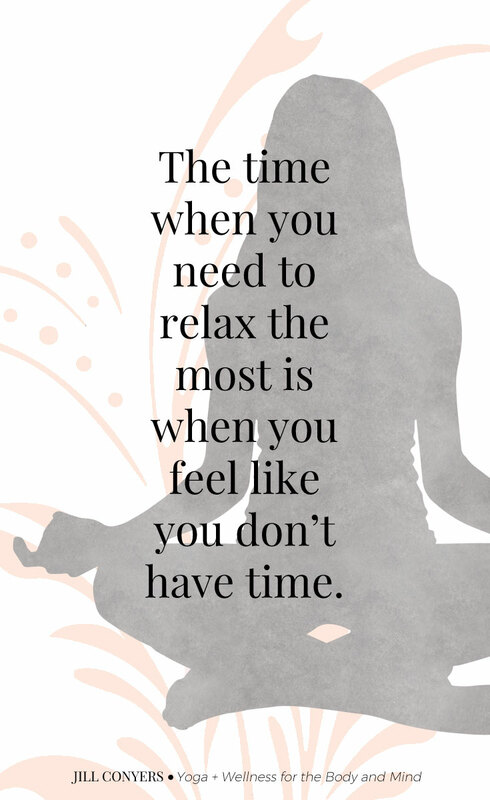 In fact, practicing yoga while on vacation will enhance your experience. ideal for a little “me” time and giving yourself a mental break from all the activities of vacation. ^Wearing Adidas “Wrap Knit Tights” and “tank top”. Aside from a Vinyasa session, there’s no better option than comfy and cute leggings for morning coffee runs, trips to the post office, gym sessions, or even just lounging around the house. 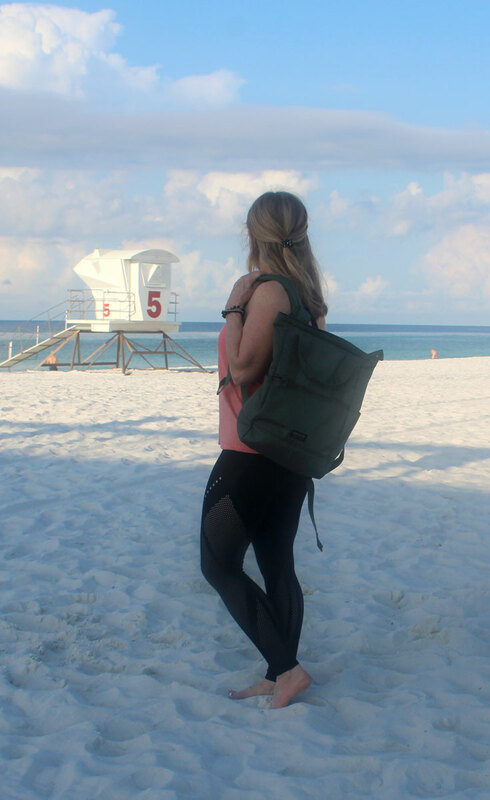 Don’t forget to check out the variety of bags, totes and “backpack”, there are several that are perfect for yoga and traveling. 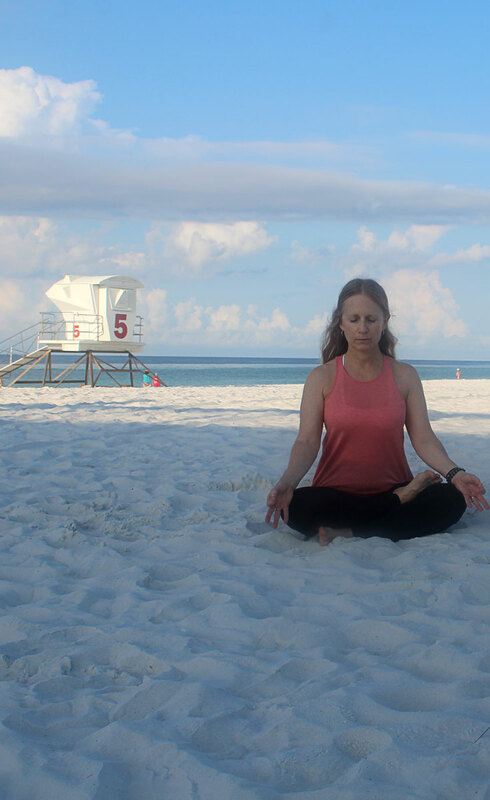 How do you maintain your yoga practice while on vacation? 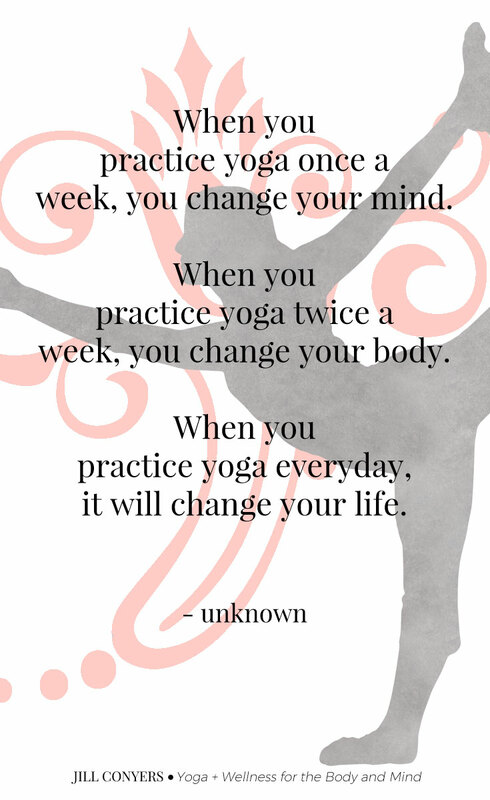 Don’t worry about keeping up with your regular practice. Adding a vinyasa or a gentle flow to your travel plans isn’t about creating stress, it’s more about enhancing the whole experience with peace and a calm mind. Consider investing in a light weight travel yoga mat. No mat, no worries. All you need is your body and just enough space to stretch out. A little planning- before you leave contact local yoga studios. Ask about location and ease of getting to class relative to where you’re staying. Ask about class schedules and yoga events- my favorite is to find outdoor classes that, ideally, I can walk to. Take advantage of new scenery. Practice in places that are different from home- going to the beach, how does sunrise yoga sound? Going on a cruise, how about yoga on the top deck? Practice first thing in the morning- take some time before everyone wakes up and the vacation itinerary takes over the day. Visit a local studio- this is the perfect time to try new classes and teachers. Yoga can be done anywhere- during a layover in the airport, the balcony of your hotel room, a park and many hotels are now offering yoga classes for their guests. Plan a simple routine that can be done in 15 minutes. If you have time you can always go longer by repeating the sequence. And, music to go with the flow! Roll out your mat, hit play and embrace the zen. Great tips Jill. I’m just about to go on a 10 day trip and I was just wondering how to incorporate my yoga into all this traveling. 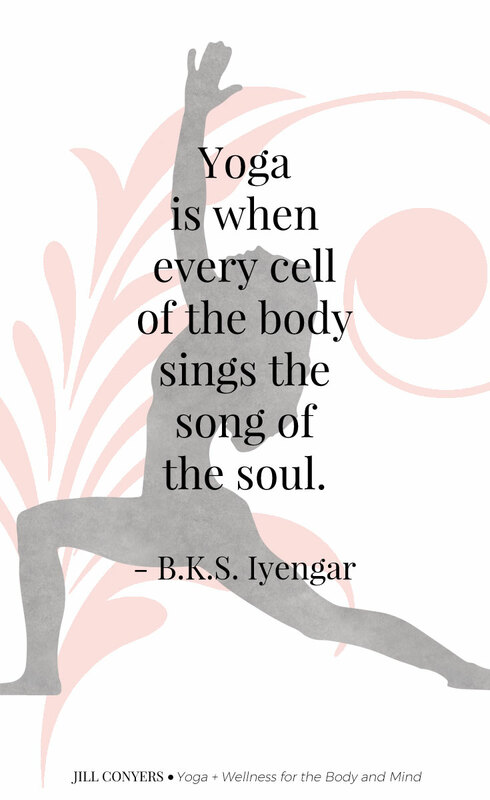 I love doing yoga in the morning or evening. I will follow your tips and maintain my routine. These ae such great tips. I always like to do a little light yoga when I get to the hotel after a flight! It helps me recovered from being squished in those seats for long periods of time! I have always wanted to do yoga consistently, but have failed time and time again. I’m thinking that if I change the environment, I might practice it on a regular basis! My first stop is to try the beach! I’ve never actually tried yoga but the pictures of you doing it on the beach make me want to try. I’ve never tried yoga but I hear so many great things about it. Sounds so relaxing and from what many say- a great workout! Whenever I go on a beach vacation I try to find a local beachfront yoga class or bring my mat and practice on my own. It’s so nice to practice with the sound of the waves! This was so needed! I am going to be traveling around the world for the next year and in half and I want to make sure I maintain my practice. Thank you for these practical tips, Jill. Very timely since we’re off for a 21-Day Euro Trip and now I am confident that I would still be able to do yoga even when I’m away from home. I have a travel yoga mat that folds up somewhere and I am going to bring it with me on vacation. Thanks for the inspiration! This is such awesome tips Jill! I’m looking to get back into my yoga practice, and this is perfect for the summer! This is such a great post! Must be nice to do yoga in a new environment!